Well, here I am again, and todays card is for the new challenge over at Cardz For Galz, and this time round we would like to see your girly cards in your 'Favorite Christmas Colour Combo'. I have chosen another LOTV stamp for my creation, coloured with ProMarkers, as usual, then I've added a hint of glitter - it is Christmas after all. I have added a die cut poinsettia and some leafy flourishes to complete my creation. I think the spotty backing paper adds to the snowy theme. 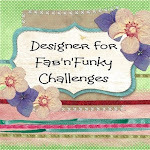 Please pop over to the main blog, and check out the other fab DT creations, or better still why not join in the fun, and show us your cards. OMG how absolutely adorable! Great job Sharon! Thanks so much for joining us at The Sisterhood’s ‘It’s Beginning to Look a Lot Like Christmas’ challenge and please come back again soon! Beautiful card Anne, the pretty shades of pink worth so well with the LOTV image. 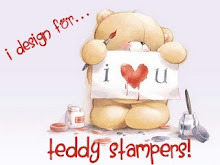 Your card would also fit in very nicely at Stamping Sensations where we have a fab prize this month. Super cute!! Darling stamp and love the details! Thanks so much for sharing with us at Penny Black and More! Hope you'll join us again next month! Gorgeous card Anne. I love the untraditional Pink coloured Christmas card. Thank you for sharing your card with us at Penny Black and More this month and we hope you will join us again next month.